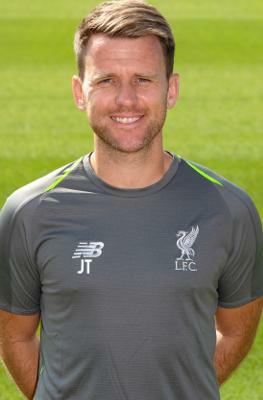 John Thompson joined Liverpool Football Club in 2011 on a part-time basis as a pre academy and development centre coach. After spending five years in this role, John progressed and is now U9s coach and also oversees the pre academy coaching program. As well as working part-time at LFC, John was also a full-time lecturer at a high school teaching sport development and fitness. John is a qualified teacher from Liverpool John Moores University and also holds a degree in Sports Studies from Liverpool Hope University. John is a massive Liverpool FC fan, and for him, this is a dream job seeing the boys start their journey at Liverpool Football Club.